DrinkWire is Liquor.com’s showcase for the best articles, recipes and reviews from the web’s top writers and bloggers. In this post, the Alcohol Professor offers an introduction to calvados. Calvados has yet to have its 15 minutes of fame in America. The French apple-based spirit is often overshadowed by the country’s more famous grape-based spirits, cognac and armagnac, by both consumers and bartenders. The reason why feels obvious: there aren’t any classic cocktails in the American drink songbook that call for it. But once you start playing around with a bottle of Calvados, it’s clear that it’s a more relatable — and satisfying — ingredient than its current reputation suggests. Like its famous grape-based brandy cousins, Calvados is restricted to its own region, in Normandy, France. That bit of land is named after a Spanish ship called El Calvador that sank near the area in 1588, which the name of the spirit is derived from. Some 200 varieties of apples are used in making Calvados, along with some varieties of pear, depending on the producer and its classification within the three subregions: AOC Calvados (single column still distillation [double pot distillation may be used, but is rarely seen in this region], and aged a minimum of 2 years), AOC Domfontais (single column still distillation or double pot still distillation. at least 30 percent pear, and aged a minimum of 3 years) and the highest quality designation AOC Calvados Pays d’Auge (minimum 6 week fermentation, double pot-stilled only and aged a minimum of 2 years). In its home region, Calvados is most often sipped neat following a meal as a digestif alongside coffee or taken as a shot that’s called the trou Normand. The latter translates to “Norman hole,” said to “make a hole” in the stomach to allow room for more food to be consumed. The spirit, hasn’t, however traditionally been used in cocktails. Like Cognac, Calvados was most often viewed as something to be consumed on its own. Classic apple brandy cocktails like the Jack Rose opted for American apple jack, which has a different finish owing to the American oak it’s aged in. The lack of classic Calvados cocktails can be a bit of a barrier to entry for anyone looking to experiment. Bartenders who go out and learn how to use it, however, are rewarded with flavors that can’t be derived with other ingredients. Mystery, it turns out, that mixes oh so well. Opt for an entry level, affordable, yet tasty expression of Calvados such as a V.S.O.P. grade or “Selection”, a blend of younger brandies that still pack rounded flavors. 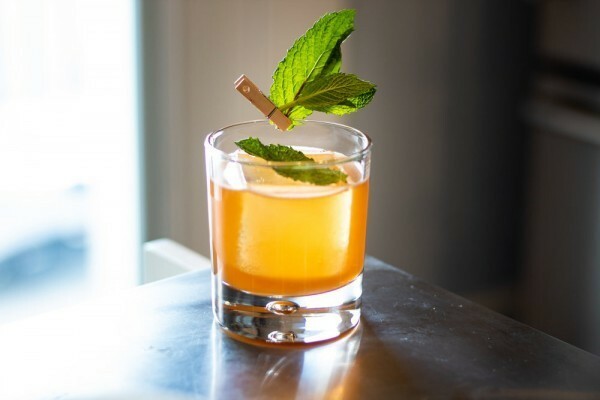 Created in Hawaii and inspired by local ingredients, The Aloha Cocktail showcases the Calvados (in this case Boulard V.S.O.P.) with familiar flavors like fresh pineapple and Kona coffee. The fresh pineapple brings out the crisp apple notes, Martinez says, while the Kona coffee and sea salt add layers and emphasize the vanilla, wood and nuttiness in spirit. The Aloha Cocktail comes off a bit savory, and is an easy companion to a dessert of salted chocolate and fruit. 1 ½ oz Boulard Calvados V.S.O.P. Add all ingredients to an ice-filled shaker tin and shake vigorously for 10 seconds. Strain cocktail into a double Old Fashioned glass and garnish. 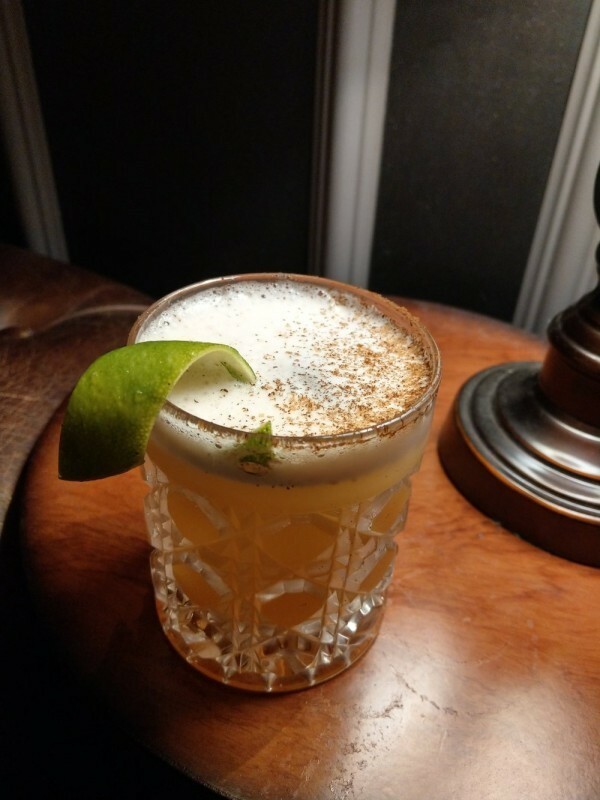 “This cocktail was inspired by a trip home to western Pennsylvania and that feeling you get in the fall,” Cameron says when describing his inspiration. The balanced drink has a little extra kick of bitterness from the Amaro Averna while the cardamom bitters enhance the spicier notes. 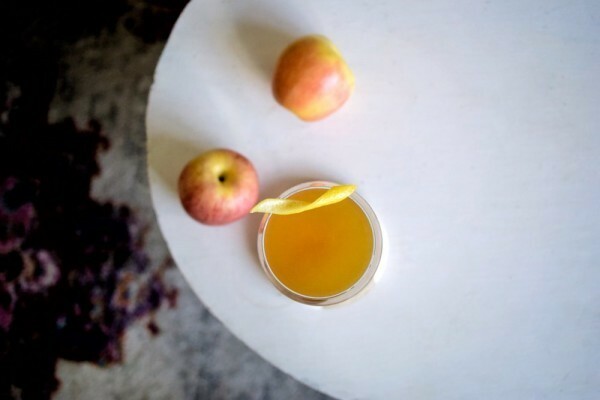 The drink allows the Calvados to shine through without letting the fruity apple notes dominate the palate. Add all ingredients to an ice-filled shaker tin and shake vigorously. Strain into a serving glass. The beverage program at La Cafette focuses on French wines and spirits, including France’s native northern spirit Calvados. Its application, in this case, is as the main force behind fresh mint and spicy ginger beer. "I love using Calvados in our French Mojito,” Cadin says. “It imparts a subtle apple flavor and gives the cocktail additional depth." The Calvados is just powerful enough to stand up on its own against the ginger beer while the drink is balanced out by lime and straight sugar. It’s the type of drink that’s perfect for brunch into evening. Make the drink directly in a Tumbler glass. First line the bottom of the glass with fresh mint (branch head down), then add Calvados, lime juice, ginger beer, bitters, sugar and ice. Recipe courtesy of Tyler Zielinski, cocktail writer and photographer @bon_vivantito and bartender at BackBar. 1 ½ oz Calvados Boulard V.S.O.P. Combine all ingredients in a cocktail shaker, and shake until properly chilled/diluted. Strain mix into double rocks glass over large 2x2 cube, and garnish with mint. This slight twist on a classic Pink Lady swaps the applejack for Calvados and ups the gin-to-brandy ratio. Few things are truly new in the world of cocktails, which is more a shining example of how good the classics are than any sign of a lack of creativity behind the bar. Even the original Pink Lady is basically just a riff on a simple Gin Sour. For this Calvados-forward Pink Lady, the difference in taste largely depends on which Calvados you’re using. In general, the use of French oak barrels in Calvados leads to a less heavy oak flavor than what you’ll get in most applejacks. For this drink, the 1 oz Calvados in place of ½ oz applejack keeps the light feel of the classic while highlighting the apple and pear notes. Shake all ingredients in a cocktail shaker without ice for a few seconds to combine. Add ice and shake again until chilled. Strain into a chilled coupette.